I could not be any happier with selecting Gayle, and more specifically, Danny Curtis, with the job of selling my home. I had a contract within 3 days of listing the property and then it closed within 30 days. Danny worked out all of the kinks with the buyer's FHA loan. He even went so far as to fix several items on the appraiser's "subject to" list since I was 200 miles away. To Gayle and Danny, Thank You So Much for making the selling process so easy, quick, and most important, profitable. 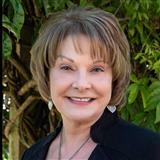 Gayle and her team went above and beyond the duties of realtors. Things like closing our garage doors when we forgot to do it before heading out of town. Doing walk throughs when the home was vacant. And a zillion other helpful things not covered by the usual realtor/client relationships! First rate professional team and first rate personal service. Thank you very much! Love Danny Curtis and his team!!! Totally professional - always went above and beyond. Highly recommended. Danny Curtis did a wonderful job for us! He is a true professional and both my mom and sisters have used him for their real estate needs. She has been very helpful, friendly, efficient, prompt and we strongly recommend her services. Our family moved from Katy to the Fulshear area in 2005. After living in Weston Lakes for several years we purchaed a lot in Fulbrook and decided to build. We always loved Fulbrook because of the "country setting" and open feel. Brian and I wanted a place with room to roam for our five children - a place they could experience nature. We moved in two years ago and we couldn't be happier. We love living in Fulbrook! "I want to express my appreciation and gratitude for the outstanding representation that The Gayle Bowen Team provided during the sale of our home in Cinco Ranch. In spite of a slow market, you all went well above and beyond in a presentation that was worthy of attracting potential buyers and realtor traffic. Your advice and consultations during the market period we invaluable, and facilitated the best selling price possible. We both feel that your expertise helped secure an advantageous position even in light of the "buyers" market that prevailed at the time we had our house for sale. We would not hesitate to recommend Linda Kay Beaver and the Gayle Bowen Team for future real estate endeavors. Thank you again".Harry and B.J. "Danny Curtis did a wonderful job for us! 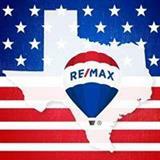 He is a true professional and both my mom and sisters have used him for their real estate needs."